Autumn is definitely here, and after a week of feeling flatter than a pancake with a heavy dose of the cold and a toddler who was massively out of sorts, I felt the need to do something nice. This something nice, included a lovely stomp in some leaves, a gorgeous bowl of soup and some Autumn crafts, which are guaranteed to cheer me up any day! 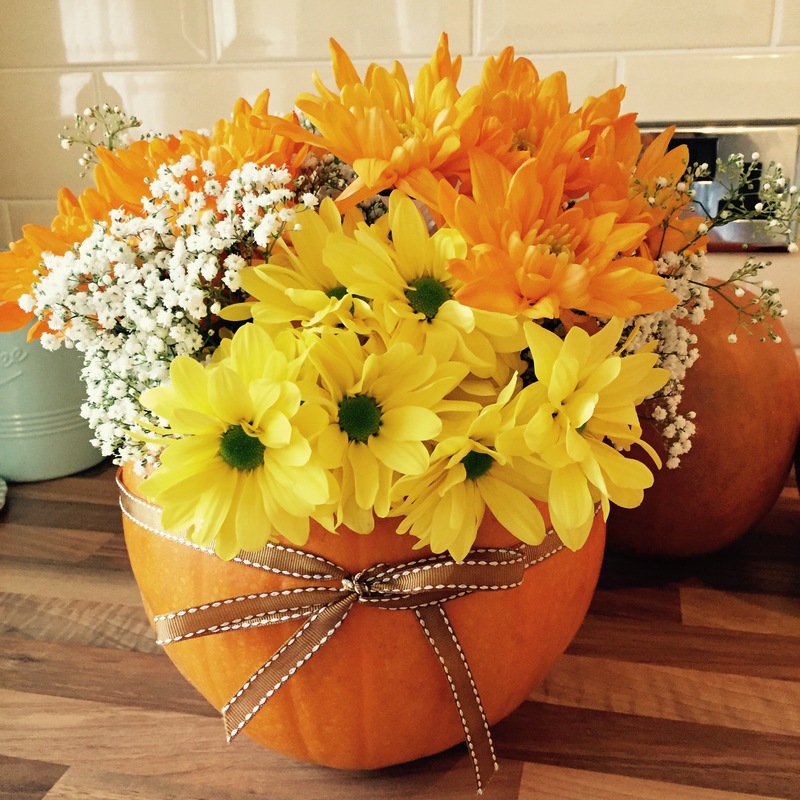 First I wanted to do some flowers – now this is an idea stolen from my fellow Autumn obsessive cousin Amy, so she gets credit for this one. 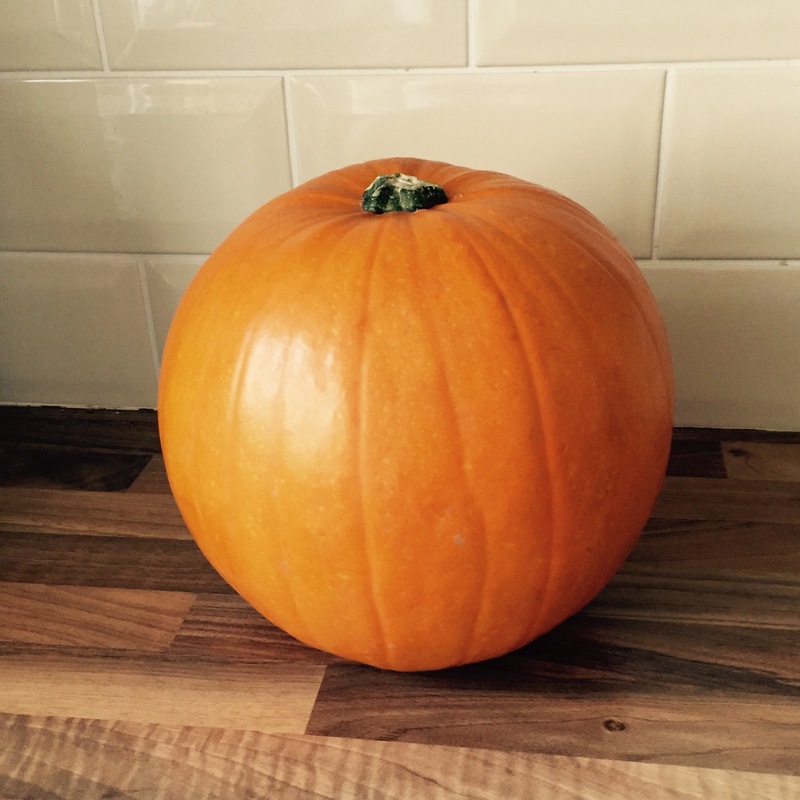 It’s super easy – just grab a pumpkin and give it a wash, cut a hole in the top and scoop out the insides (save them for the soup). 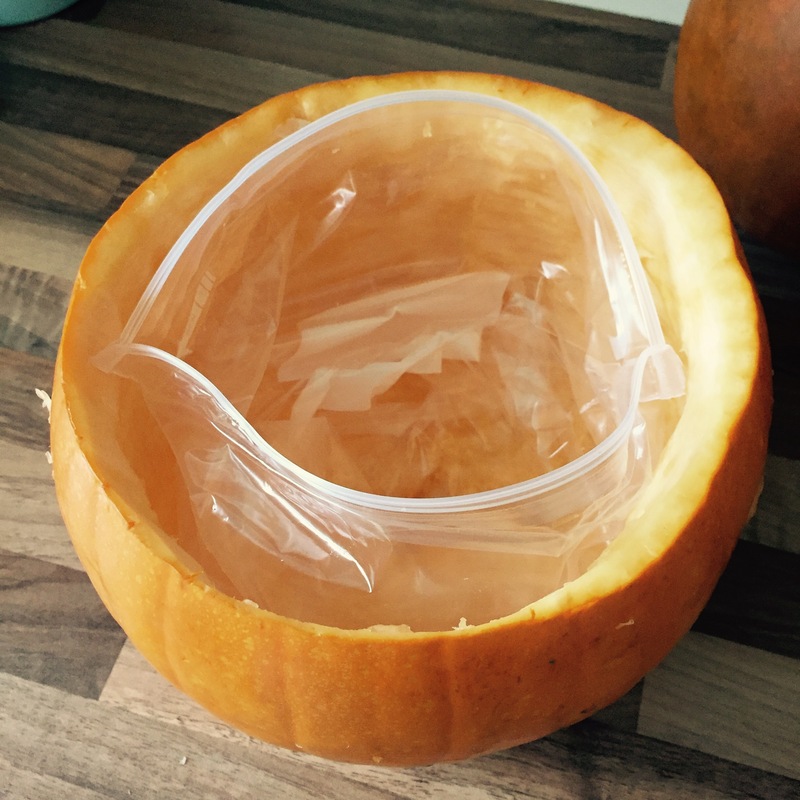 Then pop a freezer bag full of water inside, and arrange in it any flowers you like! I loved these bright yellows and oranges. Finish with a nice ribbon, and it should last you the life of the flowers. Cook the onion in a little olive oil until soft, then add the garlic and chilli. Add in the pumpkin, sweet potatoes and butternut squash and over with water. 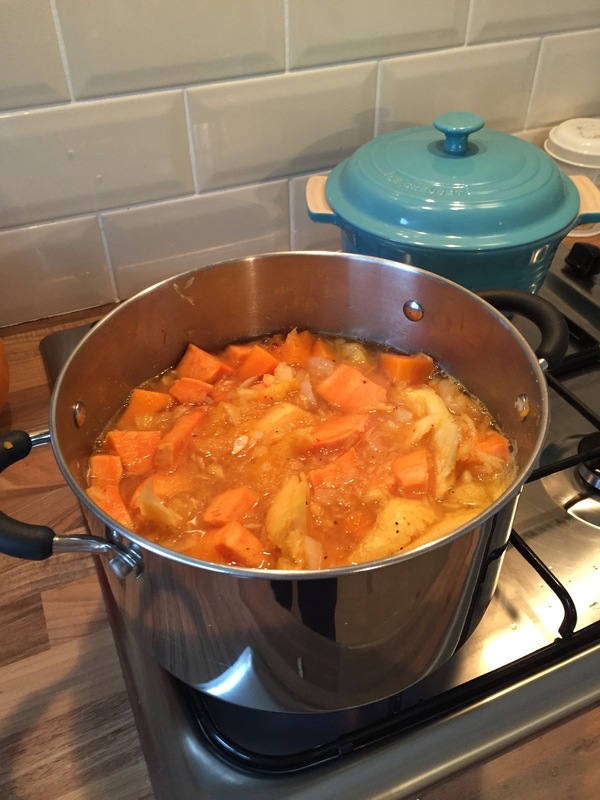 Throw in the stock cube and let it all bubble away until the veg is soft, then blitz it with a hand mixer. When it’s nice and smooth, just salt and pepper to taste, then add a drop of cream – if your feeling it! I had half a sad little stale baguette hanging around, so I chopped it up and popped it on a baking tray with some olive oil, salt and pepper and let it bake while I was blitzing the soup. 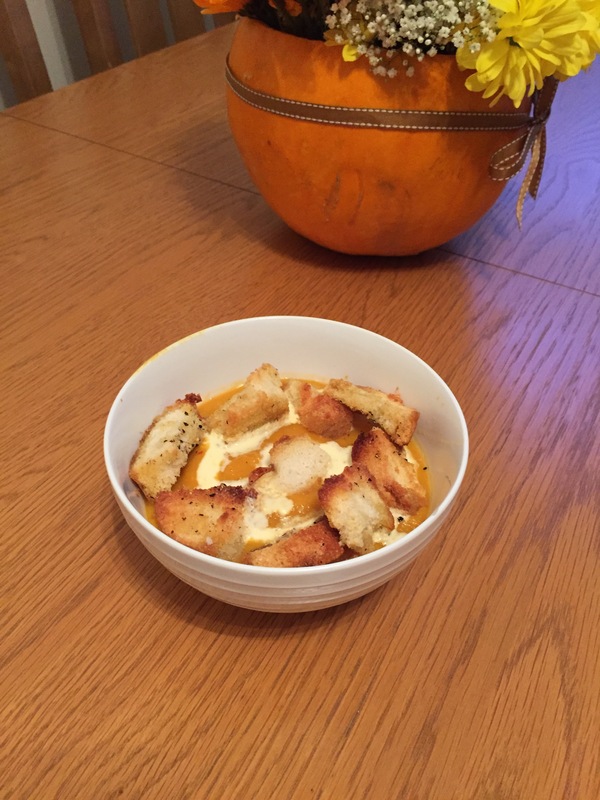 It made the most gorgeous croutons and this little bowl of loveliness definitely cheered me up. 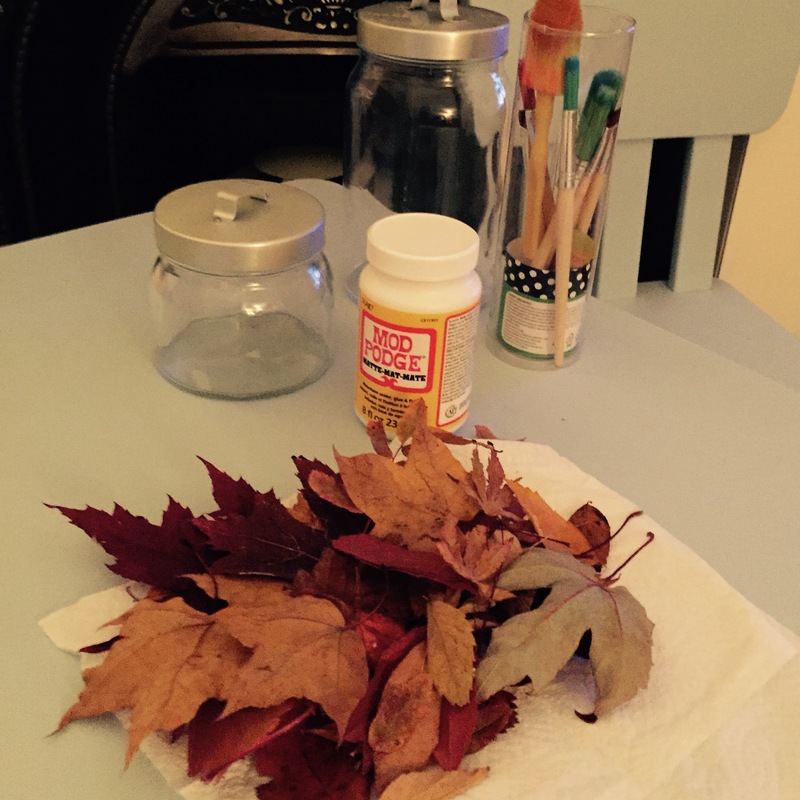 It got me in the mood for doing some Autumn crafting, as always Theo enjoyed helping me find some materials. The thing I love about Autumn is simply how beautiful outdoors is, and I love to bring some of that inside. 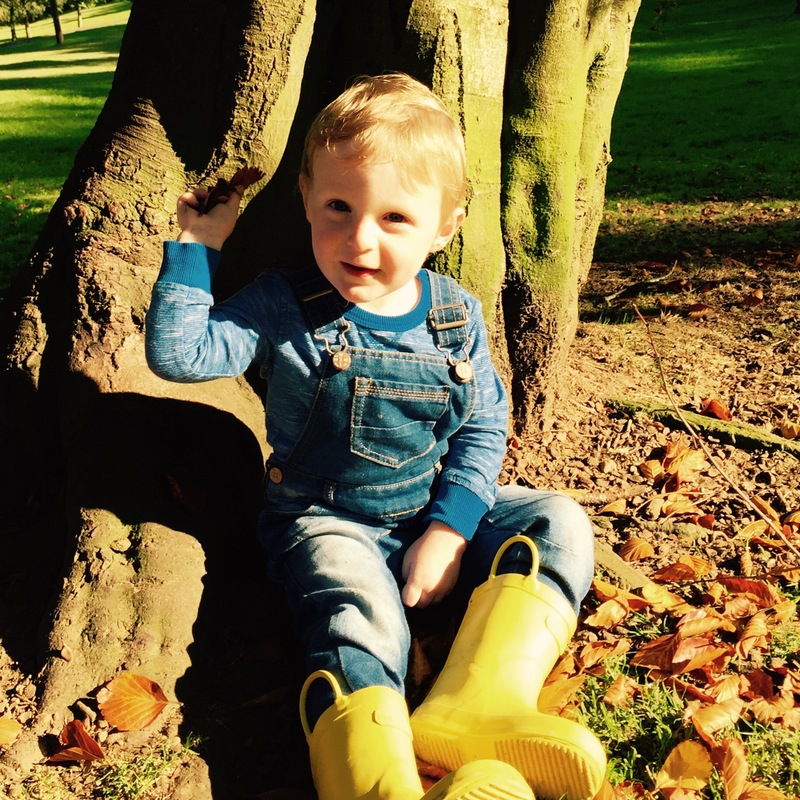 Leaves, conkers, acorns, twigs, it’s all there, and it’s all free! 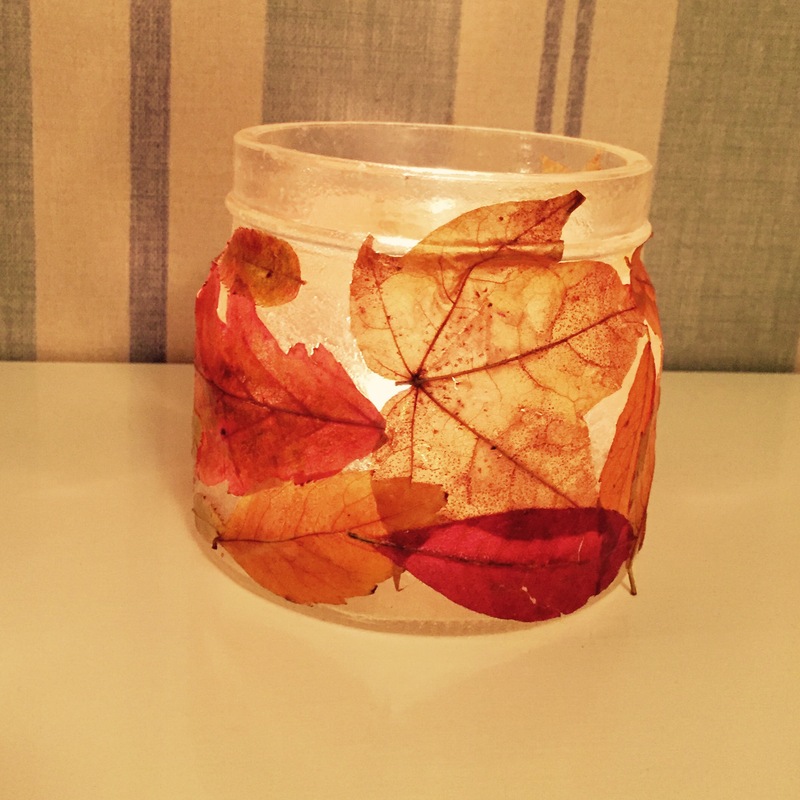 For the leaf jar candle, you simply paint a glass jar with glue (I like mod podge) and stick the leaves on top, painting over them when it’s dried in. It looks really beautiful when there’s a candle lit inside! 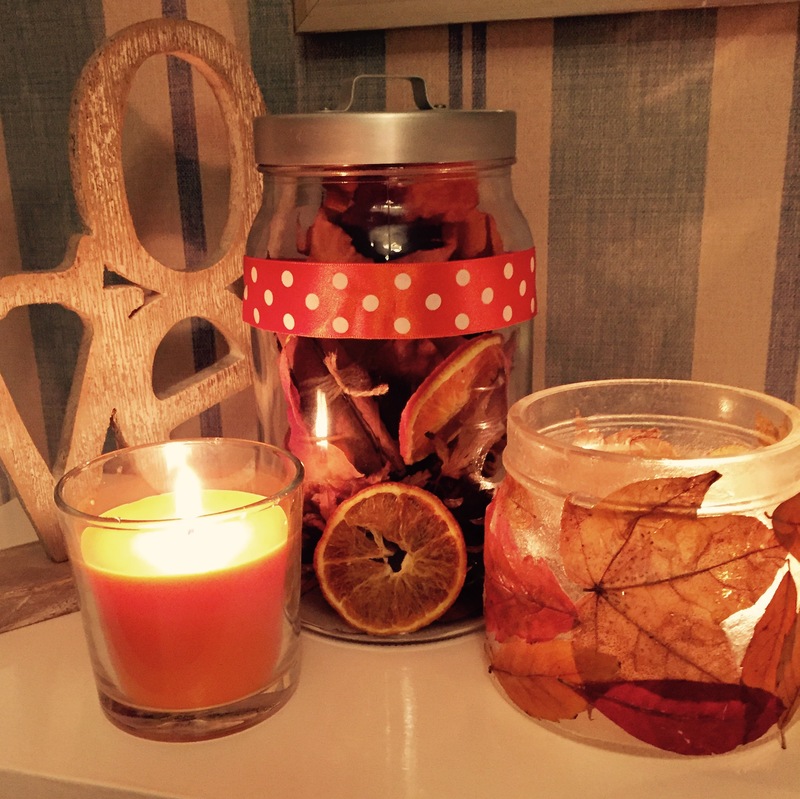 For the jar decoration, I added a few things Theo had found like leaves and acorns, to cinnamon sticks, dried orange and a few cloves and popped it into a jar with a ribbon. It makes a great decoration and smells amazing too! It’s definitely the time of year to get crafty! I love pumpkins too. Your flowers look amazing.